This waiver is intended for those playing in any portlandbasketball.com games. 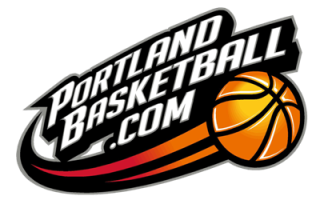 This waiver applies to tournament games and other various league games ran by P&R Athletics, Inc. DBA PortlandBasketball.com). NEW RULE #1- any player who goes up to a referee post game will incur a mandatory suspension; this has been happening too often and is not appropriate for an adult city league and it is very dangerous for players and for referees to be in this situation. When the game is over, any interaction questionning calls or telling the referee how you feel- feels like harassment to the referees (when the game is over, the event is over, referees are to be left alone). We have had 1 or 2 players suspended per week- for about 5 straight months related to this- so as you read this- it is important that you share this rule with teammates (this has always been a rule but it is had to be moved to become a mandatory suspension in 2017 forward). NEW RULE #2- if you do not agree with a referee's approach- voice- command- calls-attitude, you can do NOTHING about it at the gym. All captains and players can do, is text or call 5033804539 but to restate this- you can do nothing (with your frustration or feelings) at the gym. Your chip in fee per game gives you a gym- an opponent to play- one or two referees and the staff time/work we put in to arrange all of this (collections processes, scheduling processes, recruiting and scheduling referees, etc.) but this chip-in amount- does NOT entitle you to satisfaction with the referees; if you need to be satisfied with referees for what you pay, you can call 5033804539 and arrange a higher price structure & get your 'satisfaction gauranteed' price/structure, BUT with the pricing we currently list, not only will this league NOT gaurantee satisfaction with referees, but we can will guarantee there will be moments or games where you are not satisfied. Restated- players do not get to handle frustrations with the referees- AT the gym; in the event you are frustrated, you simply do nothing about it AT the site/gym- all you can do is reach out to Mikal Duilio at 5033804539 and Mikal will listen and Mikal will handle it from the league side of things. (signature) . As an athlete in such sports, I am familiar with methods of conducting basketball and the inherent risk of physical injury, and I hereby waive, relinquish, and release any an all right to claim to damages which may occur to myself; I acknowledge that the league will not supply medical insurance (health insurance) and accident insurance and so if I am concerned about injuries, I understand that I will carry my own health insurance. The risk of injury from the activities involved in this program is significant, including the potential for permanent paralysis and death. The risk of serious injury is substantial and people do get injured on a regular basis- this risk is real and does exist; I have read this release of liability and assumption of risk agreement, I fully understand its terms and I understand that I have given up substantial rights by signing it, and I sign this freely and voluntarily without any inducement. I choose to play and in fact, I would be playing elsewhere in open gyms and recreational games if I were not playing in this recreational/amateur league right now, so any injuries that occur in this league would have just as easily occurred in any other game that I would have been playing. Injuries- even serious injuries occur in adult recreational sports and I accept that risk (signature) . I realize that Peaceful & Recreational Athletics, Inc. is running the league (commonly called PortlandBasketball.com adult basketball league), not the gym or school being used. In fact, the gym or school has nothing to do with this basketball league. For example, Columbia Christian High School, Beaverton Hoop, Portland Church of Nazarene- nor any gymnasium - is NOT running this league; those are just gyms being rented by PortlandBasketball.com have absolutely nothing to do with this league; in no way can a venue be held liable for my injuries (signature): . I realize that confrontations, yelling, and any sort of anger are strictly prohibited. If any sort of conflict arises I will not confront the situation, but rather, I will remove myself from the situation immediately, even if that means leaving the game (signature) with an unresolved issue (you can call the league to discuss the issue - but you cannot resolve your issue at the site). I accept that this league may provide 1 referee and I will behave and follow all concepts in this release form whether there is 1 referee or 2 referees; I will play safe and in a cooperative manner whether there is 1 referee or 2 referees. This point is so important it bears repeating—if any sort of conflict arises I will not confront the situation, but rather, I will remove myself from the situation immediately, even if that means leaving the game with an unresolved issue (you can call league to resolve - but you cannot resolve at the site). I realize that I may be suspended from league play and/or tournament play and even though this is a ‘pay per play’ situation and a suspension will carry no refund. Even if I do not like a particular referee, I will accept their authority. Even when I disagree with the referee’s calls, I will accept the authority of the referee, because someone ‘has to be in charge’. If the problem is bad enough, I will call the league at 5033804539 - but I will not take matters into my own hands while on the court. I agree to all these items - (signature) . I will make sure I read the rules and policies of this league and I will abide by those rules and policies. Taunting, trash-talking & profanity are not allowed in this league. More importantly- I will do my best to recruit non-violent, peaceful, and recreational participants to this league and/or tournament. Restated - I will screen my own players before bringing them into this league or tournament. I will not bring into this league someone that I do not know well enough to know that they would not lose their temper. I understand that the actions of a player on my team could result in my team being suspended without refund. I have to make every effort to screen players (out of this league) if I feel they have a temper. I realize that I will be held financially accountable for causing any damage done to chairs, walls, or any part of the facility that occurs outside of normal sportsmanlike play. This league or tournament (run by Peaceful & Recreational Athletics, Inc.) reserves the right to prohibit anyone for any reason from participating in games as a player or as a spectator (signature) . This league or tournament requires all players to wear jerseys of the same color with a number. Players are prohibited from wearing undershirts in which the sleeves do not match the color of the jersey. Further, team captains are required to bring spare jerseys (for the player who forgot his/her jersey). It is also the team captain's responsibility (or individual player’s responsibility if you signed up as an individual player) to have your own ice packs and a first aid kit in your own gym bag—in the event of an injury (signature) . This is to certify that I, as parent/guardian with legal responsibility for this participant, do consent and agree to his/her release as provided above of all the Releasees, and for myself, my heirs, assigns, and next of kin, I release and agree to indemnify and hold harmless from any and all liabilities incident to my minor child's involvement or participation in these programs as provided above, to the fullest extent permitted by law. I will also speak to my child about not trash talking or talking to opponent in any negative fashion and I will confirm this concept with Mikal Duilio (503) 380-4539 before my child plays in a single game. I realize that a referee may deem (on his/her own) that my child is not appropriate for a particular game; if this happens (every once in a while a referee could make that judgment)-my child will not be allowed to play and I will have no recourse other than a refund (call Mikal Duilio for refund -- in the event this situation occurs).